There’s no signature style to Nina Campbell’s interiors. There’s no oft-used color palette or print—and that’s the way it should be, says the British interior designer. Campbell began her design career at the age of 19, working as a tea-making, bag-carrying assistant for John Fowler of Colefax and Fowler. She left the following year when London club owner Mark Birley offered her the in-house designer role at Annabel’s, England’s Doubles Club equivalent, which drew a nightly scene of aristocrats and Hollywood socialites. It was a luxe training ground for Campbell, who would go on to service a star-studded list of clients, including Rod Stewart, Ringo Starr and the Duke and Duchess of York. Nearing five decades in the design industry, Campbell is now concentrating on tactical ways to build brand longevity. 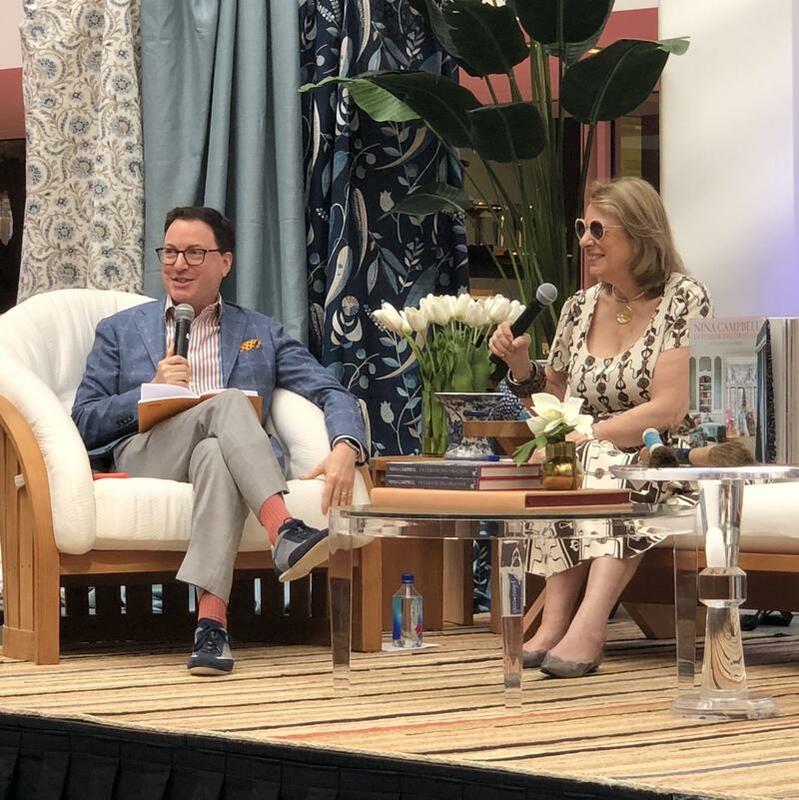 An outdoor fabrics collection with Summit Furniture will soon join her list of licensing partnerships, which includes rugs for Stark; furniture for Oomph; and fabrics, wallpapers and trimmings for Osborne & Little, at 30 years her longest-running licensing deal (“longer than most marriages,” says Campbell). “I do think somehow, despite what I say, I’ll still be giving instructions and trimming cushions from my coffin as they put the lid on,” she says.